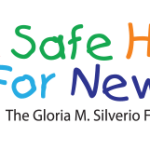 3rd Annual Tee Off for a Cause - A Safe Haven for Newborns | Pregnant Need Help? Our 3rd Annual Tee Off for a Cause golf tournament will take place on May 10, 2019 at the Trump National Doral Resort’s Red Tiger golf course with a 1 PM shotgun start. Golfers will enjoy a day on the links followed by a reception, silent auction and awards. A golf tournament can be the perfect setting for your organization to have a presence as well as your executives to network with other professionals in a friendly, relaxed setting. We are offering different sponsorship opportunities to showcase your company’s brand. We are so grateful to all of our sponsors and supporters that believe in our mission to ”save the lives of precious newborns”. To date, 297 newborns now have a chance for a future and over 5,000 women have been assisted in their time of need. Please join us…What is more important than saving the lives of the most innocent and helpless among us, newborns.